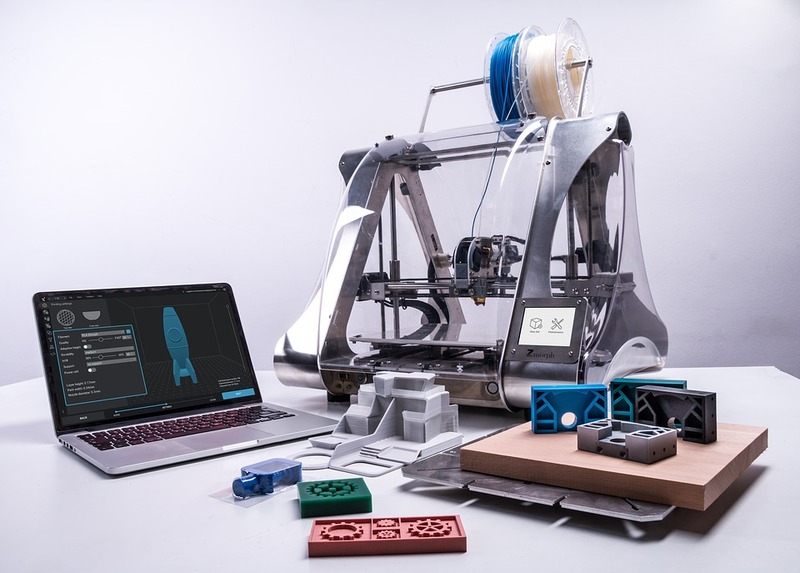 3D printers are known to play a significant role in the creation of a wide range of exotic items that could range from eatables to prosthetics. 3D printing technology is used for designing several kinds of high-tech machines parts that are extensively used in different types of industries. One of the significant elements of a 3D printer is the filament. Its importance is similar to the cartridge in a conventional printer. The filament’s material is known for having a significant impact on the final output or result. Keeping this aspect in mind, we are going to highlight six of the most popular 3D printer filaments that will help in enhancing your 3D output’s quality. If you are keen on receiving the highest quality, you must pay close attention to what is written below. Form Futura is a deep traffic black-coloured filament. Its beauty comes in the form of 100% opaque that gives all the printed items a stunning, deep back professional look. Form Futura is considered to be a premium quality filament that is very easy to use. The filament was modified with the help of impact modifier which provides the softness, less rigidness, and toughness it has. Even at relatively low temperatures, you will be able to make prints with the help of this filament. You can also preserve Form Futura for a long time. The process of printing in case of FFF/FDM technology 3D desktop printers can be streamlined. The filament also does not contain any form of chemical or hazardous substance. Among most 3D printing filaments, the Acrylonitrile Butadiene Styrene (ABS) is considered o be a very popular 3D printing material. They are incredibly durable and can easily deal with high temperatures. The material is also less brittle and very flexible. It is essential to use a heated surface for printing with the help of ABS filament because the plastic may contract. SUNLU ABS allows you to have a very smooth and hassle-free printing experience. The filaments adjust the material degradability to ensure optimal performance. It also comes along with a one-month money back guarantee, which wouldn’t be needed as it is known for its top-notch quality. It is an engineered filament that helps in bringing your creative side. Your amazing concepts and thoughts do not have to an imagination anymore. With the help of this filament, you will be able to design anything creative. The filaments are also very compatible with different types of 3D printers. The filament uses a Wood PLA Hybrid because it doesn’t require a heated print bed. It is definitely a material that is earth-friendly. The filament is considered to be great because of its ability to print cleanly. Complex models can be printed easily with the help of this filament. It provides reduced shrinkage and the potential of converting a 3D model into a 3D printed part that can be very easily installed. With the help of a Rit® brand dye, you will also be able to create customised coloured profiled. The filament’s colour might vary. If you want to keep the filament in its best shape, you will require an airtight container. With the help of this filament, you will get professional quality prints. The filament provides different colours and materials for the 3D printing. Every vacuum seal and spool is hand checked. The printing experience with this filament will be very smooth and consistent throughout the time. The filament is round and free from air bubbles, kinks, breaks, or oily residue. The vacuum sealed packaging guarantees that the experience you will receive is the best. The filament has also been tested on several 3D printer brands. The Verbatim Printing filament is known for being compatible with most of the 3D printers in the market. The filament is used for strength and uniform feeding to help ensure that the prints are of excellent quality. The filaments often occur in vacuum sealed bags. Another aspect of the packed bag, apart from the filament, is desiccant that helps in making sure that filament is not exposed to moisture. It is all in the attempt to keep the filament durable for long time duration. The Verbatim 3D Printer Filament comes with a one-year warranty. There are several other filaments for 3D printer available in the market. The ones highlighted here are the most popular ones. You can easily find them of the leading e-commerce websites.